John (Joseph Marcell) pops up in one of the most action packed and enjoyable serials from Sylvester McCoy's tenure as the Doctor. 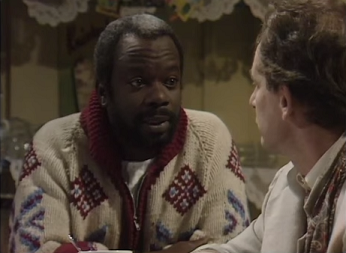 With his laid back Caribbean charms serving up the perfect cup of tea, John also manages to, after the Doctor suffers a late night philosophical crisis on the ripple effect of our decisions, serve the Doctor up the life advice of "Best thing is just to get on with it!". It took until the second Dalek serial for us to finally catch a glimpse of Earth's first victim of the Dalek's wicked cruelty. 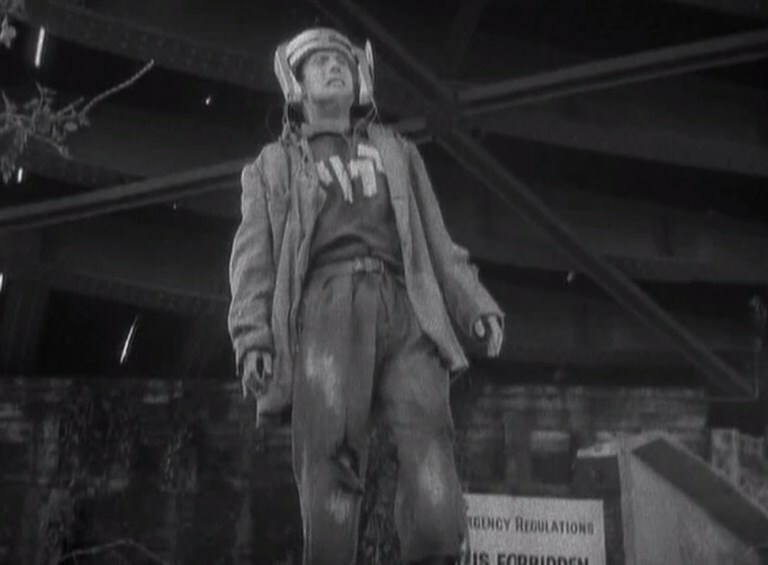 And it was delivered in a particularly stark and bleak opening scene where we see a converted Roboman (Peter Diamond) committing suicide by stumbling into the River Thames. It was a death which prove to be the first of many Earthlings at the hands (or plungers) of the Daleks. 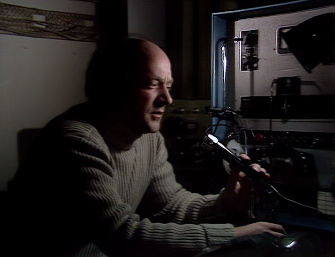 Despite thinking the extent of his problems on the Prince Charlie oil rig was a lack of haggis, Munro (Hugh Martin) hadn't contemplated the destructive capability of the Zygons' Skarasen. And despite, somewhat inexplicably, managing to survive the oil rig being torn down, Munro washes ashore slightly mad, but alive. As an added bonus he then collapses into the strong arms of that dashing Harry Sullivan. 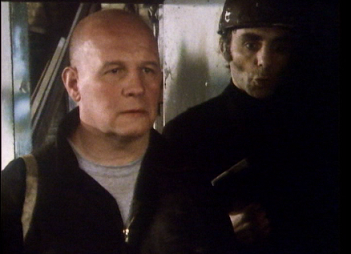 Things are finally looking up for Munro, but then, seconds later, he gets shot dead by The Caber. Munro, therefore, is, despite his short screen time, one of the unluckiest characters ever to feature in the series. 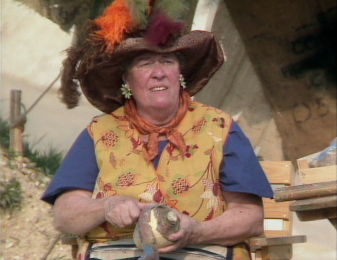 The stallslady (Peggy Mount) is an intergalactic fruit and veg seller on the planet Segonax - just check out her succulent Plaup from Vulpana. Regardless of the fact that the Psychic Circus appears to be the only source of custom for her, the stallslady resolutely hates any of those "vagabonds" involved with the circus. Instead, she seems to spend her time peeling less than extraterrestrial swedes and dressing up in the sort of hat that even Elton John would balk at. Seeing as it was 1968, the Doctor Who team decided to take a bit of a dip into psychedelia with The Mind Robber which takes in all manner of mythologies, fairy tales and Syd Barret fuelled whimsy. 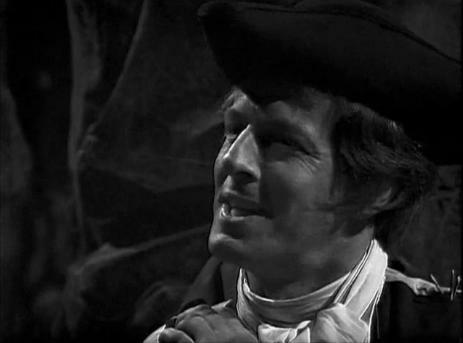 In particular, one section features Jamie bumping into fictional character Gulliver (Bernard Horsfall) who is not only bemused to hear Jamie's ramblings about the White Robots chasing Jamie, but is also unable to see them. And, whilst all this madness unfolds around him, Gulliver is more than content to merely mutter lines from Gulliver's Travels. Surrealism at its best. Griffiths (Brian Glover) actually manages to nearly make it through Attack of the Cybermen unscathed, but sadly comes a cropper when a Cyberman shoots him right in his shiny bonce. Nonetheless, up to this point, Griffiths has been an entertaining character, but one who is deeply complex and insecure. Whilst his straight talking Yorkshire smarts allow him to fearlessly mock the Cybermen's ridiculous speech patterns (resulting in a nasty head crushing), Griffiths is very sensitive to any reference to his baldness, particularly when given the nickname of "Toupee". It's a tough life being a poacher, constantly looking over your shoulder as you haul up some dead pheasants into a grotty sack in order to avoid a rollicking from aggrieved landowners. The last thing that a poacher needs, then, is to chuck in the god like powers of the Pharaohs. 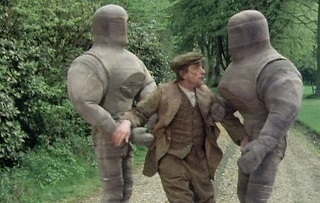 And, for poor old Ernie Clements (George Tovey), this is going to become a reality as he's trapped in woodland with a pair of robotic mummys on his tracks - has there ever been a clearer example of the hunter becoming the hunted? But what elevates Clements into a level of interest is the rather disturbing chest crushing end that he encounters. 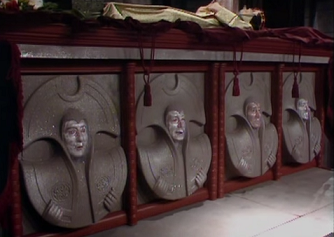 Sure, we know that one of these stony guys is Borusa, but who are those other chaps forever entombed in rock? 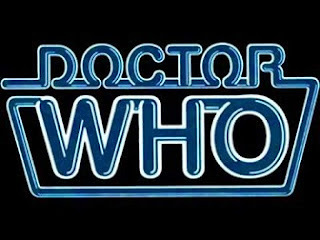 It's an intriguing mystery and one that could uncover a little more truth behind the Gallifrey legends and the merits of immortality. What really makes the living rocks standout, though, are those chilling, creepy faces. Those haunted faces with their eerily twitching eyes calling out for help have been imprinted on the inside of my eyelids ever since I saw The Five Doctors. Naturally, I never sleep. Or blink (And, yes, these are much more scary than any weeping angels). So, who are your favourite characters who never seem to get the credit they deserve? Let me know in the comments below! Gorowny (Hugh Lloyd) from Delta and the Bannermen is another overlooked one. I think Don Henderson stars in that one too! He does indeed and, after posting that, I went back and watched it for the first time in years. He was a brilliant baddie and, according to the commentary, so many of the little traits of his character were Don's own ideas such as webbed hands and sniffing the air for potential danger.